In my post of September 19th entitled The new Gatekeepers of Quality, I referred to a nonprofit called The indiePENdents.org as a possible solution to the need for some kind of quality seal, but that all such solutions might suffer from insufficient resources to cope with the huge number of books. This prompted Julia Petrakis, who is the current manager of the organization, to comment and further explain that "...the issue, which involves the highly intelligent as well as independent personalities of those who self publish, is far more complex and difficult than simply having sufficient resources." Intrigued by this comment, I contacted her for more information and received the following, which she has kindly allowed me to reproduce here for your benefit. The indiePENdents.org is a U.S. 501(c)(3) nonprofit organization that advocates for and supports self-published writers by evaluating and awarding our Seal to self-published books that meet objective standards of spelling, grammar, punctuation, formatting and presentation (we don't care whether the evaluator actually likes the book or not). Essentially we are not selling a product; we are selling an idea, that self-published books can be as good as traditionally published books. We maintain a webpage with blog, a Facebook page, and a Twitter account, with our postings hopefully educating as well as entertaining our readers. 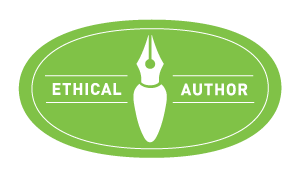 We have a fairly large e-mailing list of bookstores and libraries to which we send our catalog (see attached) of books that have received our Seal. We have also provided free grammar/writing classes to our members through a collaboration with Scribendi's Grammar Camp.com. We operate with a completely volunteer staff. Members pay no dues or fees for membership, the evaluation, or the certificates or Seals. Although we do pay for web hosting, the email list, and "boosting" of Seal-winning books on Facebook, all other services (social media activity, web design and update, emailing, evaluating, update of catalog, etc.) are provided by volunteers. Our plans are to continue chugging along, getting the word out. Interestingly, a year or so ago, a friend and member asked me if I thought we had had any effect on the publishing world. 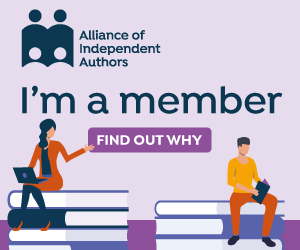 My answer then and now is that the combined voices of those genuinely supporting self publishing, such as The indiePENdents, have had an effect. When we first began evaluating books in 2011, when it was standard thinking that all self-published books were (pardon my language) "crap," by far the majority submitted to us were denied the Seal. Today, the majority of books we receive are either granted the Seal or are very close to it, indicating to me that writers are hearing the message that yes, you can succeed by self publishing but you have to do the work and self publish a well-written book! "An Indie 'seal of approval' has been discussed numerous times, but the consensus seemed to be that the READERS are the new gatekeepers and it is up to them which books succeed. There are plenty of e-books on the bestseller lists that would not qualify for a 'seal' because they are poorly written and full of typos, yet they sell because the author is a good storyteller."